Confusion over the mythical automatic completed operations coverage provided under occurrence-based CEL policies has led to an overwhelming number of contract insurance specifications requiring occurrence-based CEL policies. 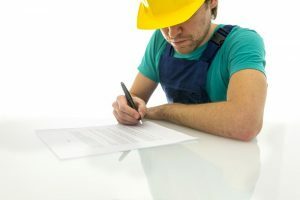 Claims-made policies actually have a few clear advantages including easily fixing coverage defects for indoor environmental risks and making it abundantly clear which policy should apply to the loss. Environmental insurance policies written on a claims-made and reported coverage basis get a bad rap for the wrong reasons. I actually prefer working with claims-made environmental insurance policies to occurrence-based policies for several reasons. When there is a claim involving pollution damages that have taken place over multiple policy periods, with a claims-made coverage trigger, it should be clear which policy will apply to the loss. Under a claims-made coverage trigger, the policy in force when a claim is first known to the insured and is reported to the insurance company is the policy that will apply to the loss.In contrast, if there is a series of occurrence-based policies insuring the risk over time, figuring out which policy might apply to a long-term pollution/contamination loss can be difficult or impossible to do. Under an occurrence-based policy, the timing of the actual damages during specific policy periods is as important to establish as the date of loss. If different insurance companies have issued occurrence policies over time, in the event of a long-term pollution/contamination event spanning multiple policy period years, the odds that all of the opposing claims adjusters will take an “it’s not my job” coverage position in perfectly good faith are very high.When no one can tell for sure when a pollution event started and how long it has gone on, knowing which policy should apply to a loss is a big advantage for all of the stakeholders under claims-made insurance policies.